Warm, sweet tone that works great for jazz, blues, classic rock and slide players. This the APH-1 Bridge pickup from legendary manufacturer, Seymour Duncan. This pickup comes in a zebra colour. The Seymour Duncan APH-1 Alnico II Pro Bridge pickup, Zebra, is a warm, moderate-output humbucker, which works well for jazz, blues, classic rock and slide. These pickups boast players such as Slash (Velvet Revolver & Guns 'N Roses) and Michael Wilton (Queensryche). The APH-1's Alnico 2 magnet and moderate windings help provide a warm, sweet tone with more natural string vibration for great sustain. If you're looking to get the distortion from the amp and not the pickup, the APH-1 lets you back off the crunch and get beautiful clean tones with softer attack. The Alnico II Pro has a rounder sound than the '59, with a spongier bass response. This pickup comes with a four-conductor hookup cable. 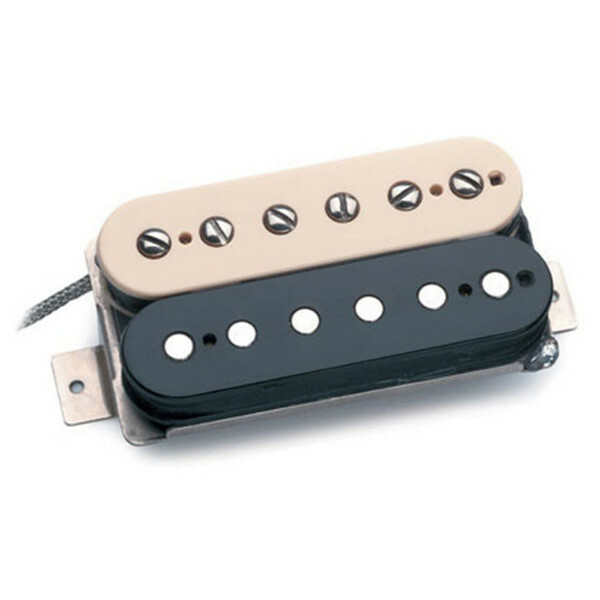 The APH-1 Bridge pickup works best for brighter toned guitars, especially for ones with maple and ebony fingerboards. Furthermore, it also works great with hollow and semi-hollow body guitars.